The nose is elegant, fine and powerful. It reveals notes of coffee and undergrowth associated with slight notes of grilled oak, blackberry, cassis cream as well as slight hints of spices, Sichuan pepper and oak hints. The palate is fruity, mineral, silky, elegant, nicely built, racy, fine, straight, harmonious and offers tension. 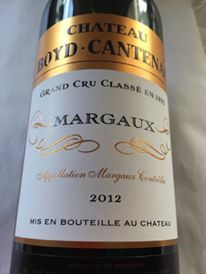 In the mouth this wine expresses notes of blackberry, black cherry and slight notes of crushed raspberry associated with hints of toasted oak, grilled, mocha and spices. Tannins are fine and slightly dry. Good length.